Engineered For Truck Beds: TrailSeal is a premium tailgate seal specifically designed for all pickup trucks with toppers, lids or tonneau covers. TrailSeal seals the tailgate gaps and stops dust, rain, and snow from getting in. The location of the bottom seal protects the seal when sliding cargo over it. Seals vertical gaps at the corners and the gap at the floor of the truck bed. Keeps Water, Snow and Dust Out Of Your Truck Bed. 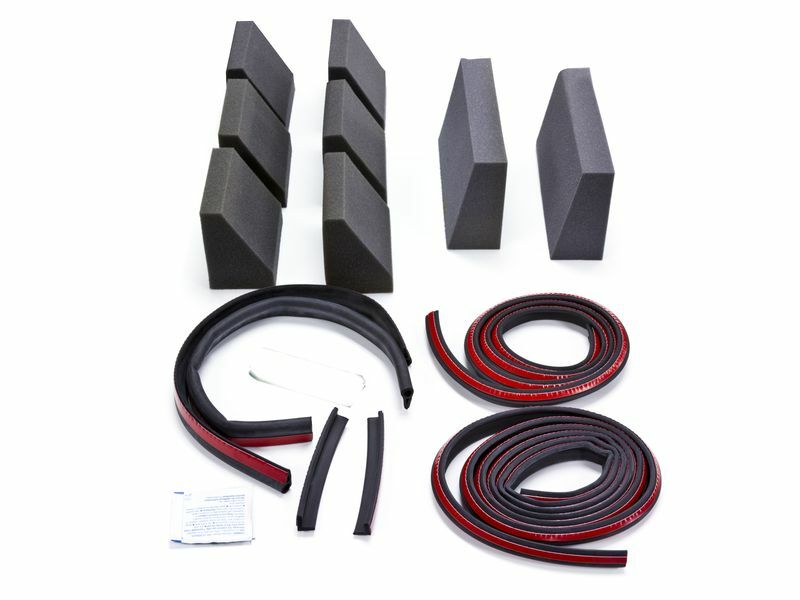 Easy Installation: Easy to install 3M adhesive-backed molded rubber seal reduces dust, rain, and snow leakage by providing a tight tailgate seal. No more worrying about items in back of truck getting wet and dirty. Includes Tailgate Gasket: For the tailgate area. Includes Foam Wedges: For the holes in bed. Includes "L" Shape Seals: For the front & rear top area. Tested, Trusted & Guaranteed: TrailSeal tailgate gasket and tailgate seal kit has been tested, trusted, and guaranteed. Great for Toppers, Lids & Truck Bed Cover's: Works great with Truck Bed Toppers, Lids, or Tonneaus. Includes ""L"" Shape Seals: For the front & rear top area. The TrailSeal Tailgate Gasket which is included in this kit can also be ordered individually.